MIT scientist who led the study says there will be a notable difference in the colour of 50% of the oceans by 2100, and it could be ‘quite serious’. 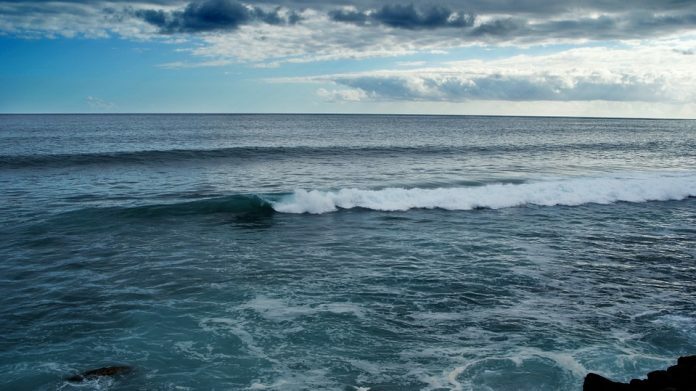 Bengaluru: In a collaborative study published in Nature Communications Monday, researchers have discovered that climate change is causing the intensification of the blue and green colours in the Earth’s oceans. The study predicts that before the year 2100, more than half the oceans will experience a colour shift. The change in oceans’ colour takes place because of the difference in quantities of phytoplankton, the microscopic algae that gives water bodies their distinct green colour. Phytoplankton are primary producers of energy: Using chlorophyll, they convert sunlight into energy, thus feeding an entire food chain above them. They consume carbon dioxide and release oxygen, making their presence crucial to marine creatures. They also ‘fix’ nitrogen (convert Nitrogen from the air into compounds), making them an important part in the enrichment of oceanic waters. Nitrogen also plays a key role in regulating the global carbon cycle. The ocean’s waters show the colour they do depending on the light they reflect: Large swaths of water containing just water molecules reflect blue. This water is “barren”, and the typical oceanic blue is seen in open waters. The phytoplankton’s chlorophyll, which absorbs blue and reflects green. The presence of phytoplankton in waters typically indicates the health of water: When there is just enough of it, life thrives and the water takes on the “healthy” green colour. When there is too little, the quantity of life in the waters goes down and water’s natural blue comes through. And when phytoplankton blooms to deep green, it indicates a diversification in species due to increased carbon dioxide and heat. But it isn’t just global warming that causes a change in algal blooms and chlorophyll; naturally occurring weather events like El Nino could also temporarily cause a spike in phytoplankton bloom, causing an increase in chlorophyll. And the marine ecosystem also plays a role. “Sunlight will come into the ocean, and anything that’s in the ocean will absorb it, like chlorophyll,” says Stephanie Dutkiewicz, lead author of the study and a principal research scientist at MIT’s Department of Earth, Atmospheric and Planetary Sciences, and the Joint Program on the Science and Policy of Global Change. To make the distinction between greening due to climate change and due to isolated weather events or other factors, the researchers put in the measurements of reflected light from satellite imagery into a model that mapped oceanic currents and water mixing. It was also programmed to estimate the specific wavelengths of light that are absorbed and reflected by the ocean, taking into consideration the amount and type of organisms in a given region. The resulting model can be fed with various values of inputs, primarily global temperatures. When the temperature value is tweaked, the model’s output shows the change in the colour of Earth’s oceans: The blue and green parts of the spectrum being the most responsive, showing drastic change with increased temperatures. Since the late 1990s, satellites have taken continuous measurements of the ocean’s colour. The projected change by the team shows a deepening of blue in the tropical regions and green in the poles, as the regions around the equator become too hot, making the poles warmer. This was expected to happen at the end of the century, but assuming the three-degree rise path the world is on now, oceanic colour change could be drastic by 2055. In fact, the process is well underway already. The pale blue dot that we inhabit could potentially become much more green, but in the wrong place.